Todays card is a lovely shaker card. This is the first ever shaker card i have made and i think i did pretty well providing i didn't follow any tutorials at all. I love to figure out how to do things all by myself first and learn from my mistakes and if all else fails and i feel myself getting annoyed then i will consult Youtube. To make this card i cut out the star from the card. 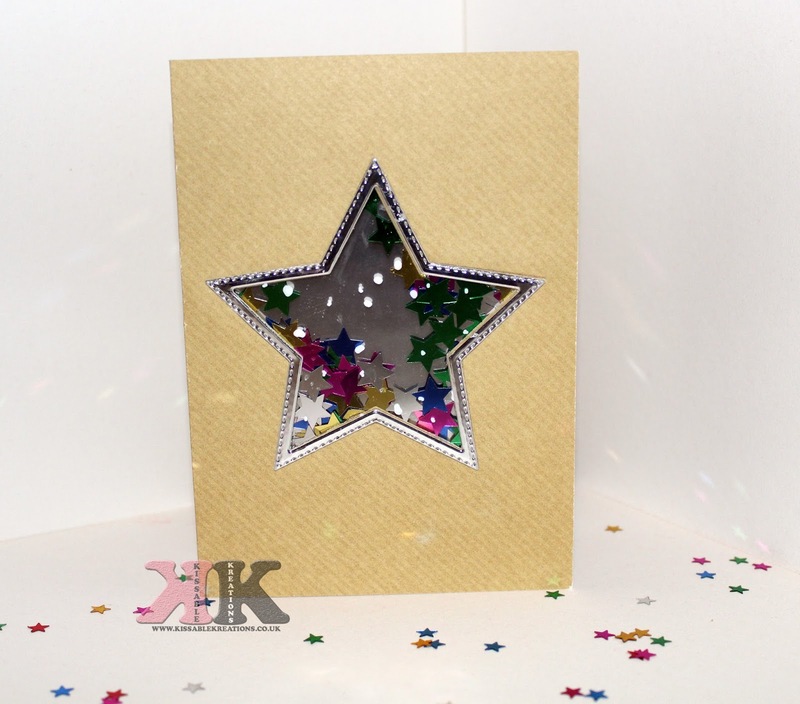 Used 2 stars together to make the boarder for the front of the card. Added a piece of acetate to the inside of the card, Cut out a piece of foam using the same 2 stars to make a foam boarder, Added the coloured stars and then added a piece of miri card to the back of it all. I leave a lot of my cards open as im hoping to start selling them very soon. The buyer can then choose their own occasion or just leave the card as it is. Whats your most favourite card to make? I've got a thing about stars at the moment! This looks great, we're going to try and make one! This a lovely idea! I bought a card the other day and looked at it thinking it was impersonal... this is a super way to make it personal! 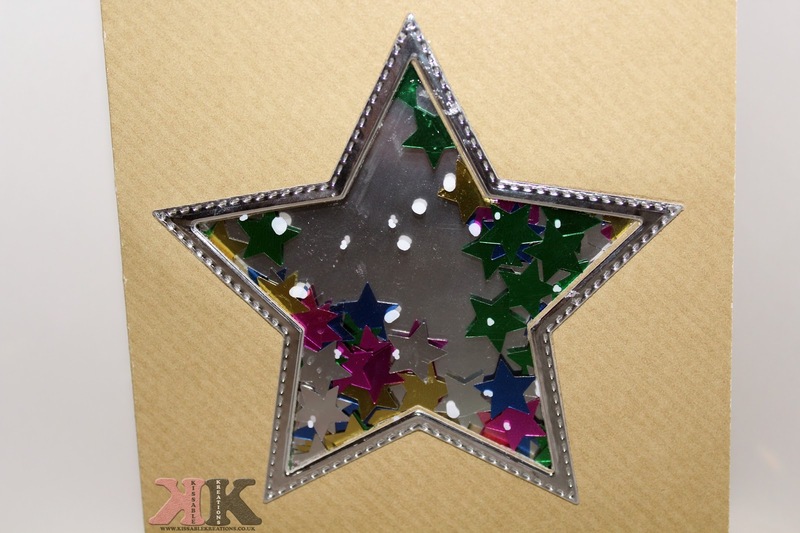 This looks like a great card to make and I love the star shape. I think my girls might want to give this a try. I love this card! I'm definitely gonna have to have a go. That is such a pretty and effective idea, it is really striking.